FORT LAUDERDALE-DAVIE, Fla. – For more than three decades, Barry Nierenberg, Ph.D., ABPP has been a leader in the area of psychology integration with healthcare. His specialty has been working with healthcare professionals in hospitals across America attending to the mental well-being of patients who may be suffering debilitating diseases or other severe trauma. For his many years dedicated to the profession, and the fact that he has mentored and helped numerous others within the field, Nierenberg was honored with the American Psychological Association Division 22 Rehabilitation Psychology Mentor Award. This national award is given to a rehabilitation psychologist who has displayed excellence in mentoring clinical, counseling or rehabilitation psychology graduate students, interns, postdoctoral fellows and junior faculty. This award honors those individuals who have demonstrated excellence in their professional generosity supporting, encouraging and promoting professional and personal growth and education, training and leadership in rehabilitation psychology. Along with his work with hospital patients, Nierenberg has been teaching and influencing the next generation of psychologist working at Nova Southeastern University’s Center for Psychological Studies as an associate professor. Nierenberg teaches advance graduate courses across the Psy.D. and Ph.D. programs, which includes overseeing various seminars and conducting trainings in health psychology and behavioral medicine. He also mentors and supervises student based research resulting in numerous joint presentations at National and International conferences as well as working collaboratively with faculty across the NSU campus. Nierenberg currently serves on the Executive Board of the American Board of Professional Psychology assisting psychologists to earn their Board Certification. He has served on the Florida Department of Health’s Brain and Spinal Cord Injury Advisory Council, where he previously held the post of chairman. He is the one of the past presidents of the American Psychological Association’s Division of Rehabilitation Psychology. His research interests are focused on the interplay of biopsychosocial factors in chronic illness, wellness and disease, as well as healthcare disparities, pediatric psychology and child and family adaptations to acute and chronic medical conditions. 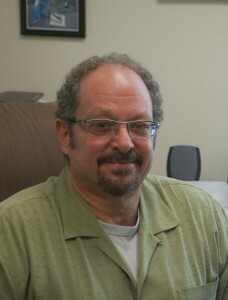 During his career, Nierenberg has been published in numerous juried or referenced journal articles as well as several chapters relating to healthcare and psychology. You can view his complete Curriculum Vitae online. About the Division of Rehabilitation Psychology: Established in 1958, this is an organization of psychologists concerned with the psychological and social consequences of disability and with ways to prevent and resolve problems associated with disability. Members of Division 22 have diverse research and service interests, and include psychologists working in rehabilitation facilities, medical center hospitals and clinics, colleges and universities, private practices, government programs, social service agencies and schools.